Are you ready? While plenty of brands have started pushing their Black Friday, Thanksgiving, and other holiday deals earlier. Thus mobile app development companies should be late to leverage such golden opportunity to grab more customers. 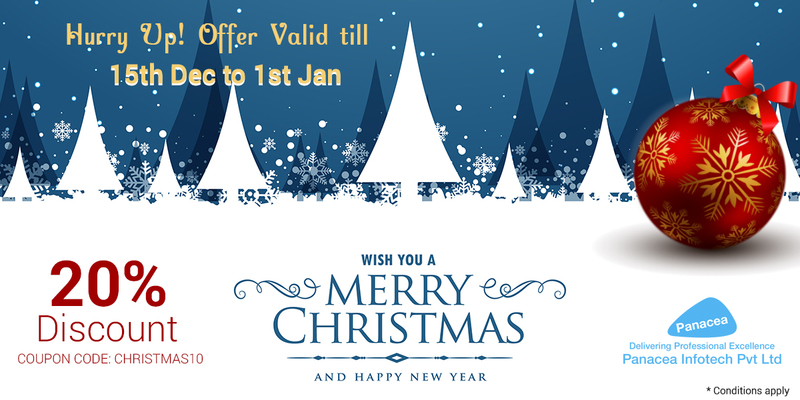 Moreover, Christmas and New Year holiday season is a prime time make sure you do not miss out on the potential goldmine. For online businesses, the holiday season is always the most profitable span of a year. In this time especially during last quarter, you can see a significant increase in the number of orders as well as average order sizes. Actually, some businesses earn up to 40% of their yearly revenue in this last quarter of the year alone. Let’s be honest though. With the day-to-day pressure of operating your ecommerce business, it is a normal thing to forget upcoming holidays. Each year, there are some big-seller products that get a lot of attention. Understand what’s on your customers’ wish lists now, before you need to initiate creating campaigns. And then think about the products you would like to be your biggest sellers and build campaigns around them. Well designing for your holiday app is the key factor to attract more customers to your application. This means you have to prepare a list of all the important visitor destinations that you will be suggesting to the targeted audiences. Mobile app development companies can include the names of the main hotels and places of accommodations, upload beautiful pictures of the famous attractions, shopping malls, restaurants and other places. Apart from that, you can also inform the travelers what activities they can indulge in while sightseeing. You can design the homepage with a beautiful background that keeps the visitors informed as how many days are remaining for the much-awaited vacation. What else can be done is provide the ratings and reviews of the previous tourist who had already visited that destination. 2. Know What You Want to Promote? Big name brands are already ready for Christmas and New Year, so you want to know what you will be focusing on selling as well. Knowing this information as early as possible will give you a great kickstart. You get to think more about how you want to market your products; you may have big ticket items (example: iPad) and “stocking stuffers” (wireless earbuds, a gift card for apps, etc.). Once you have decided how you want to promote your products and services, you can start creating content like blog posts, Facebook ads and posts, email campaigns, landing pages, and offers that are all centered around the products you want to push. The app developers are quite familiar with the fact that it is the features that keep an app always in the spotlight of the users. Therefore, when you are getting your apps ready for this holiday season, make sure to add interesting and worthy features that are suitable for the specific time. For instance, Mobile app development companies can add one page where the users can do their Christmas and New Year shopping and that they don’t have to visit any other site or app for the purpose. Apart from that, it will be interesting if you are providing them suggestions to choose their holiday destinations, the type of holidays and facilities etc. Holiday means lots of fun and games. The people are in the relaxing mood and if you are adding some lifestyle elements and games, then surely the app download will boost up. The mega Christmas holidays arrive each year and after we welcome a new year. Everything remain the same, but what changes are the user requirements and the trends prevailing in the market. Thus, it is essential for the companies to remain up-to-date with the current mobile app development strategies. This helps in sticking the requirements of users for which an extensive research becomes evident. Offering what people are searching for is going to prove beneficial. For instance, you are also well aware of the fact that during the Christmas and on the New Year’s Eve, a number of various events are organized such as live concerts, dance, music, carnivals, fests, foods and drinks etc. where people just go and enjoy. Fine that you are sending an email offer and also offering rewards and discount coupons so that more audiences visit your app. But in today’s scenario, push notifications has become a vital tool to increase your sales and promotion. It is through the push notifications only that you can inform your customers about the exciting contests and discount coupons etc. Planning mobile app development as per X-mas and New Year is challenging. However to grab more customers and revenue you need to follow above discussed 5 points. It will encourage users to shop more from your online store. 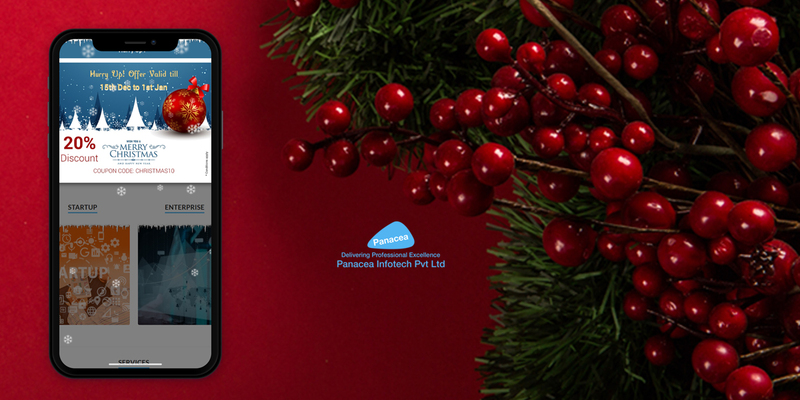 Panacea Infotech is a leading mobile app development company that follows the latest application development trends to ensure that your application takes a significant position in the market. If you have any special mobile app development requirement for this holiday season feel free to contact us and give your business a completely new direction.